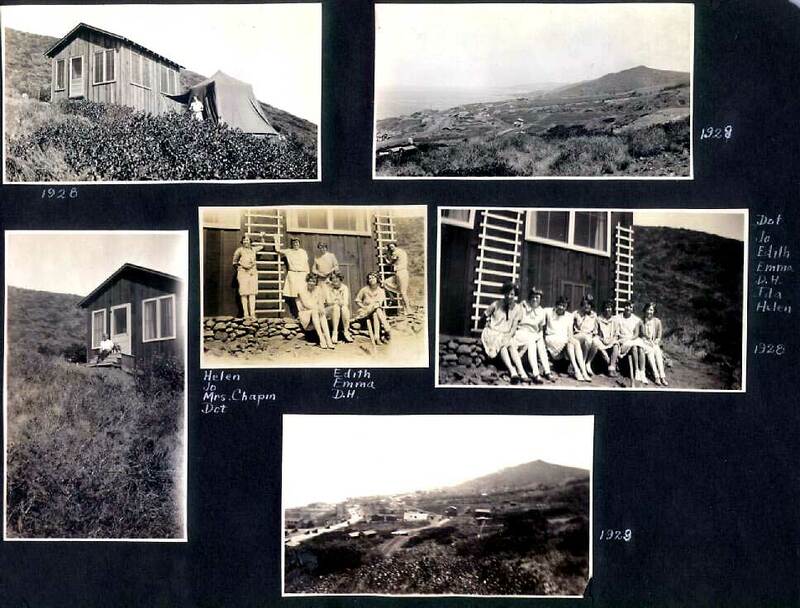 Family pictures of Three Arch Bay, South Laguna California, in 1927. Page #1 of a family photo album from 1927 at Three Arch Bay! These seven wonderful old pages from a family photo album were put up for sale on ebay. They sold for an amazing amount to an obvious collector of old photos, and would have disappeared, if the seller had not included these large images in his offering. Luckily, I accidentally ran across these photos, recognized them for what they were, and quickly saved them for our Three Arch Bay history before they disappeared from our sight forever. Whew! Please see all seven pages to see Three Arch Bay and South Laguna in the early days. Do you know who these people are? Does this house still exist? Does a "Mrs. Chapin" or "Mrs. Goodwin" or a "D.H." jog your memory? Please contact us with any information you might have!